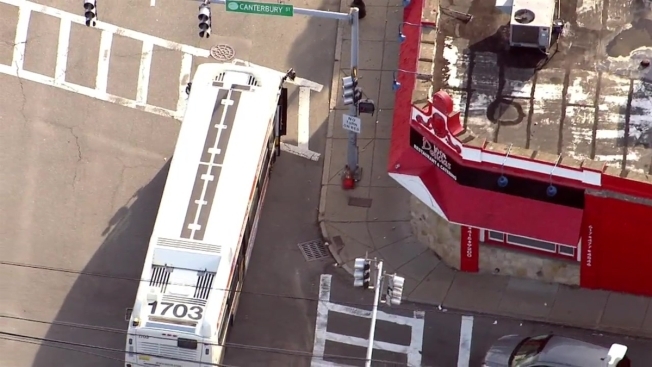 Four people were hospitalized Thursday afternoon when an MBTA bus collided with two vehicles in Boston's Roslindale neighborhood. Fire officials said the crash happened at about 1 p.m. at the intersection of Hyde Park Avenue and Canterbury Street. Four victims were taken to an area hospital with non-life threatening injuries. One victim was a pedestrian according to fire officials.